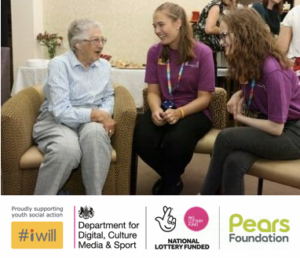 The challenges of embedding volunteering are well-documented – from the shifting sands of voluntary services to staff perceptions and the need for regular communication and support. 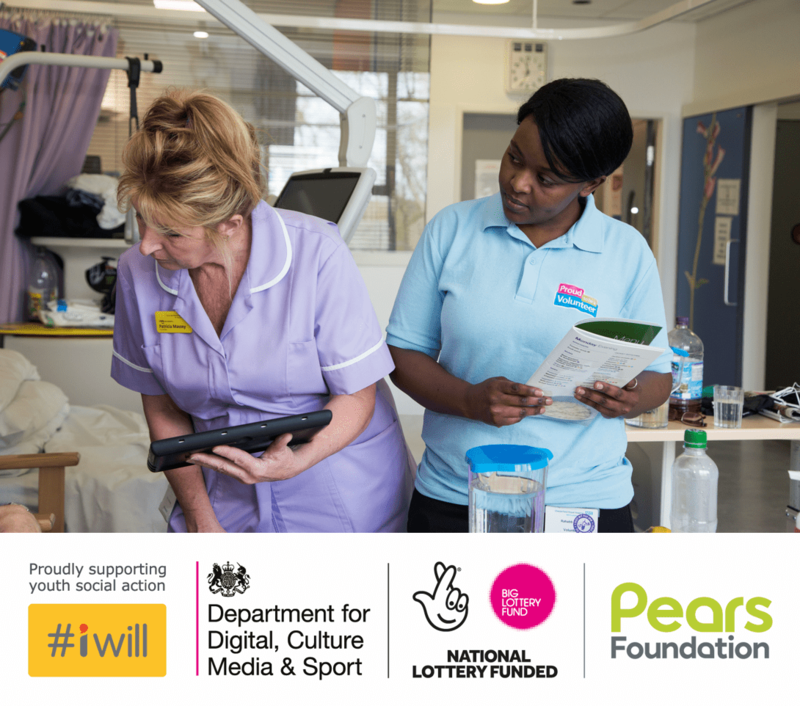 We recently hosted a webinar for the hospital volunteer coordinators supported by the Pears #iwill fund, to share how they are working through some of these challenges. Below are the tips and tricks they shared. Offer concise reporting using a mixture of narratives and infographics (e.g. Venngage, Piktochart). Senior management don’t necessarily have enough time to read extensive reports and statistics. Condensing reports into accessible packages can be helpful – one Trust provides quarterly reports for the board and senior management highlighting the activity of the hospital’s voluntary services within the last quarter. Maintain staff engagement by running regular sessions (e.g. during corporate inductions), outlining the benefits that young volunteers can bring to the Trust. If possible, include a young volunteer in these sessions as this can help to formally embed youth volunteering. Provide opportunities for staff to provide feedback, and listen to any concerns that arise. Try to ensure that older volunteers (aged 25+) are involved alongside younger volunteers – for example, by allocating shifts in pairs. Staff engagement is an ongoing process that doesn’t have to be an elaborate advertising campaign. Engage at a micro level as well as at a macro level. Practically, you could put up laminated posters of the jobs that volunteers can do; create a sign-in sheet for volunteers on the ward; and/or write a list of ‘Top 10 things young volunteers can do on the ward’ for the ward and outpatient areas. Identify local education establishments and community projects – start by being focused and then build up a longer list. For example, start by establishing an effective working relationship with five local schools or colleges. Young volunteers could accompany the Voluntary Services Manager to a committee meeting about how the Trust interacts with the local community. Use peer volunteer support: this is key for the retention of young volunteers and for building confidence. Mentors can accompany a young volunteer on their first day, visit them a week later, discuss any challenges and try to provide any necessary adjustments or advice. Create meaningful and attractive volunteer roles that are linked to an individual’s career or social aspirations. Examples of roles include work on the Ward Shop Trolley or an 8-12 week rotation placement. Flexibility is important for retention rates – for example, offering a range of admin roles outside of healthcare (e.g. front of house – outpatient, flower and retail work). Create a young volunteers liaison group: invite young volunteers to come together and discuss their experiences and roles (e.g. create a Youth Forum). Evaluation is an investment of time that is worthwhile, and can be relatively light touch – through day-to-day conversations with volunteers and with the departments leading volunteer placements. It could also involve surveys and capturing information shared via call or text. You can showcase the impact of a programme by sharing stories that illustrate the value of youth volunteering, youth experiences and voices. To do this, take regular photos for hospital social media (Facebook, Instagram, Twitter) that will promote the value and benefits of youth volunteering. Be open to criticism and feedback – adopt an open and honest approach to change. Start small. For example, with a simple meet and greet exercise for staff and volunteers. No change is too small.